Yesterday I was in such a hurry to get out the door that I forgot to put makeup on. Not a big deal. I only looked like I had been sleeping for 30 hours and woke up from the dead. So I had to stop at CVS on my way to work to at least pick up some mascara or people would have been asking me if I was sick all day long. Not a flattering question. 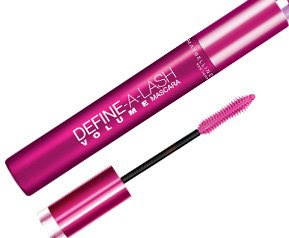 Anyway, I got there and I swear by Maybelline Define-A-Lash lengthening mascara. Well it was buy one get one half off so I bought my normal tube and I bought the pink tube because it was so cute. The pink is volumizing and it is wonderful. I now swear by the pink tube and gave my mom my new green tube. 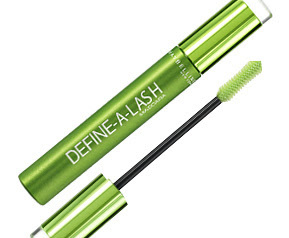 Try it, it is the best mascara I think I've ever used.